The „Pionir” arena was built in 1973 in just 11 months, by the „Energoprojekt” construction firm. Basketball in Yugoslavia was then in full swing and although Pionir hosted many different sport events (volleyball, handball) it quickly became known as a basketball sanctuary. The Yugoslav national team won the European gold in 1975 under its roof, and it also brought luck to the Lithuanian champions Zalguiris Kaunas in 1998, when they took the Saporta Cup. 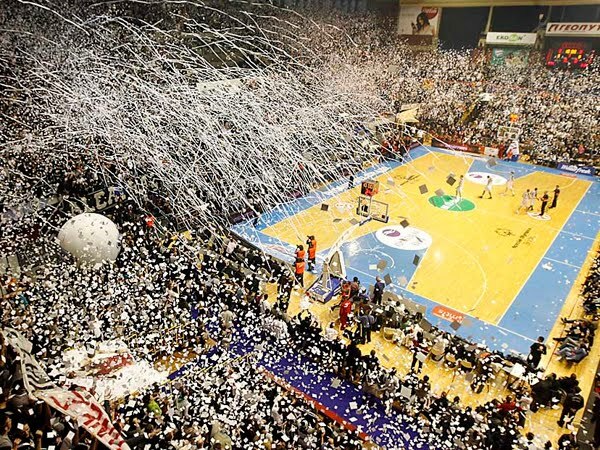 Partizan moved in the Pionir in 1992 after their old hall „Hala sportova“ became obsolete for a club that was about to take the European throne. The Pionir is today a modern, fully equipped facility than can successfully meet the highest standards, of the top European competition. The EC for junior men was held in PIONIR in July 2005. Also, Pionir hosted national teams of Greece, France, Slovenia and Bosnia in the first round of EC for senior men 2005.